Why do we share so much on social media channels like Facebook and Twitter? Do we really need to tell everybody that we just did our laundry, or that we are taking our dog out for a walk? Do we really need to share our honeymoon pictures with the entire circle of friends; do we need to inform the entire world that a mild headache is not letting us concentrate today? People share everything these days. And I literally mean everything. No wonder companies are facing problem to segregate data that makes sense from all the data they have. And trust me, it is enormous. But let’s save the topic of big data for some other time. This post is reserved for why do people overshare? People are sharing all sorts of personal information on Facebook and Twitter. Their food, their pets, their conversations, their stress outs, their personal favorites, their moods and what not; everything is out there in the open. I bet even Mark Zuckerberg, when he was creating Facebook, did not have a clue that this information oversharing would go to such extent. But what is the compulsion to share? Are we doing it on purpose or is there any other reason? I was going through a post by Roger Cohen and I agree with what I read. As per his theory, we have always been hardwired to fear and that has been the reason of our survival; fear of wild beasts, then of plague and war. But today, it does not exist to that extent. So anxiety has to find a new focus. And that focus has shifted to the status anxiety. Someone unfriended us on Facebook, our status anxiety drops, some friend posted that he bought a new Ferrari, the status anxiety goes down, someone posts how she is having a holiday blast in Hawaii, the status anxiety goes down. What do we do to bring the status anxiety back up again? Share as much as possible! We want to prove to the world that we exist. We are not over sharing but we just want to show the world that we are alive and that we are not anonymous. So more than doing what is important and pleases us, we have gotten in the race to show the world that we exist. As rightly mentioned by Cohen; I overshare therefore I am. Not so long ago, scientists dismissed viral videos as function of randomness. But in the last few years, evidence has been mounting to suggest that successful viral videos do have some common factors and dependencies. It’s still not possible to create viral videos using those factors but in theory it can be said that we know enough now to produce communication in such a way that its probability of going viral would be very high. Firstly, it had both the elements of communication, curiosity and motive to share. There are 2 categories of emotions that stimulate our attention and hence creating curiosity that is sharable. The first is pleasure, which would be in the form of humor, affection for something cute, amazement and intense want. The second is shock, in the form of anticipation, intense surprise, embarrassment, or violation of cultural norms. For a video to go viral, it needs to balance both these categories of emotion. 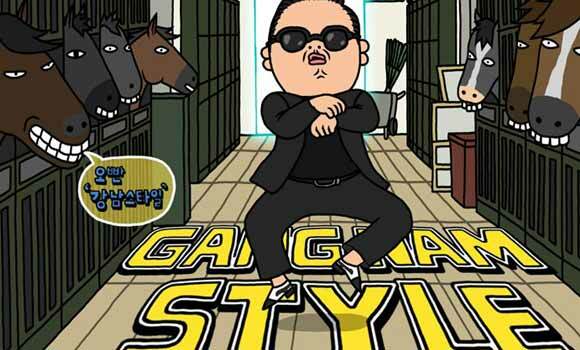 The Gangnam Style video uses incidents of humorous behavior between short scenes of emotional discomfort that surprises and perhaps even delights us. The music replicates the effect completely. The speed and intensity of the music have been altered to create a sense of tension interspacing it with pleasure. PSY’s unique dance moves have captured everybody’s attention. Again, I believe because they convey a unique mix of emotions. Apart from emotions there are other factors believed in making a viral video; choosing the right seeding agent, the medium, the snowball effect time, basically we have been studying viral videos for a while now and the results of our study will be out soon. We will try to cover the other aspects by using other viral video examples like the TNTs “Push for Drama” and the Old Spice “The Man Your Man Could Smell Like” advertisement. 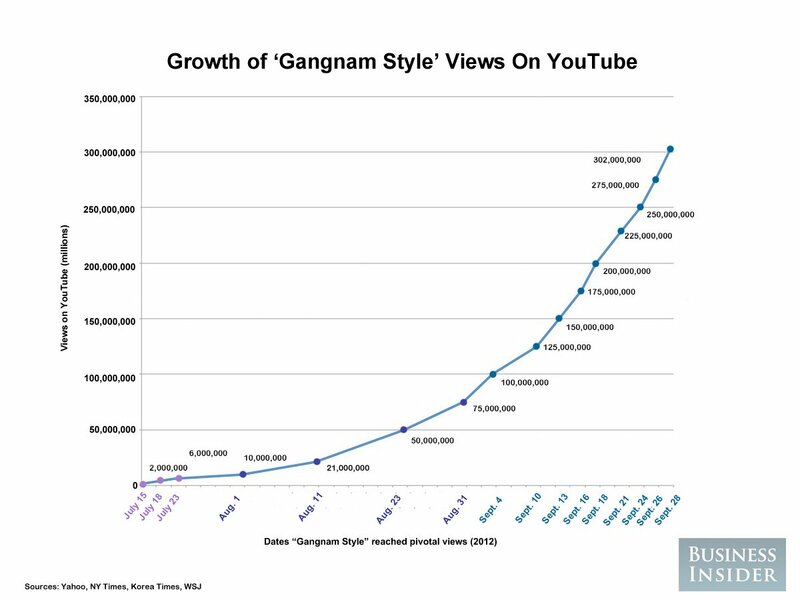 Whether by accident or not, Gangnam Style has used very strong techniques of viral marketing. What is it about Monday that makes it so miserable? One thing I know Monday’s weren’t as miserable when I was in college as they are now, when I am working. I guess the reason is simple, reference. Let me try and explain it to you in a bit more detail. When I was in college we were working mostly. Hard as it may seem, we did not have any holidays, MBA is rigorous and it is said that my school is among the best in the country. We had to sweat it out on most weekends. There was always something pending. In case we got some time free we would go out on a trip. So there was hardly any time to rest. As a result Monday seemed nothing different from other days. Similarly, Friday was the same as any other day. Now, when I am working, things have changed a lot. Now, Monday comes after 2 days of rest. Hence, it seems miserable. On Friday, on the other hand, the mind knows that 2 days of comfort lie ahead and hence is more ebullient than any other day. It is a simple principle of contrast. Everything is relative. The previous thing and the next thing has an influence on us. We always compare. Money, Wealth, Education, Beauty, Knowledge, Status, we need a reference point for everything. When you go out to buy a suit, the price of a shirt may not seem expensive even if it is beyond what you thought it would be. Similarly, the price of cuff links may not even be noticed. Accessories would seem cheaper when you buy a car. Marketers have realized this long back and they make full use of it. Have you ever purchased an year’s subscription of a magazine when you only wanted to buy a single copy just because the full year deal seemed a better saver? Sales people would often show you a poor product at the price you expect alongside with the one they want you to buy. Similar is the case with property dealers. There are so many other examples in the real and the virtual world. Some companies check, how many time does a user takes from searching the product to buying it. If it is not much they would sell it but if it is a lot, the companies know that the user is hesitant and they would give you an instant offer to make the deal more lucrative for you. I could go on and on. When making a choice, we tend to stick to a mid-range of choices set and ignore the extreme ones. So just adding more items to the choice set can influence our preferences. So, Monday morning would always be miserable as long as Sunday is a holiday. Hello sirs and madams. I wanted to share this happy experience with all of you so here we go. I went to this modern retail outlet in Bhubaneswar one day and was so happy to see the famous Starbucks coffee placed at my eye level on one of the shelves. I thought wow; these guys are penetrating into the Indian subcontinent. So, I picked up one of these bottles and alas, my gaze was stuck at the Rs 160 odd price tag. Waaat sir? Are you selling coffee or are you paying our monthly’s phone bill? This is India sir. Sell it cheap if you want to sell at all. If you are targeting the bade babus then you are limiting your scope sir. You need to learn from HUL, Volkswagen, P&G, Coca-Cola, PepsiCo, Nokia and the likes. You are smart sir but show us that you are smart. You know HUL’s fifty percent of the revenues come from the rural segment now. The future is there sir. Atleast in India. Use other companies’ experience why do you want to experience what other companies have experienced by not modifying their Indian offerings? Middle class sir, I am telling you that should be your target.